Game Theory This month we tackle to games at polar opposites of the ends of the subtlety spectrum. 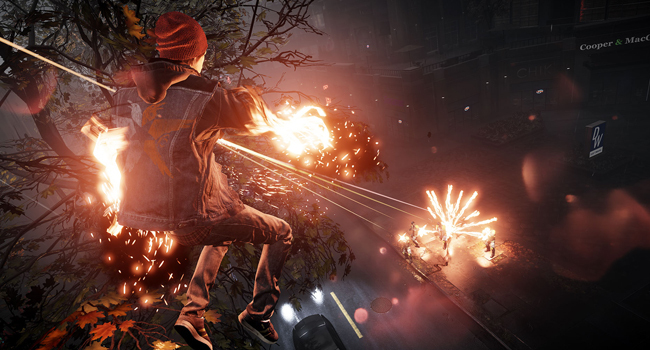 First up is Infamous: Second Son, a game that pitches a super-charged hero (or villain) into the midst of Seattle and begs him to explode things. Then there’s the shadowy stealth of Thief, as Garrett once more gets to grips with robbing from the rich. 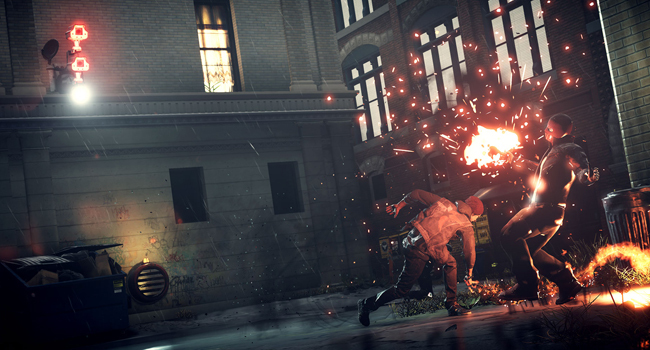 Infamous (or inFAMOUS to pay it proper lip service) has always felt like one of those nearly franchises. Full of potential, no doubt, but without ever quite becoming a must. Cole MacGrath was an interesting enough lead, spending his time scaling buildings, beating-up thugs and shooting lightning from his (presumably singed) fingertips. But there were two major points of criticism I could level at it. First a dependence on way too many similar mission types. Second, a cardboard cutout city that never quite felt like it was truly accommodating of your growing superpowers. Now developer, Sucker Punch, is back again and while not quite everything has been fixed, the outrageously gorgeous playground of Seattle goes a long way towards papering over any cracks. In short, for sheer wow factor, this is the best reason yet to add a PS4 to your console collection. 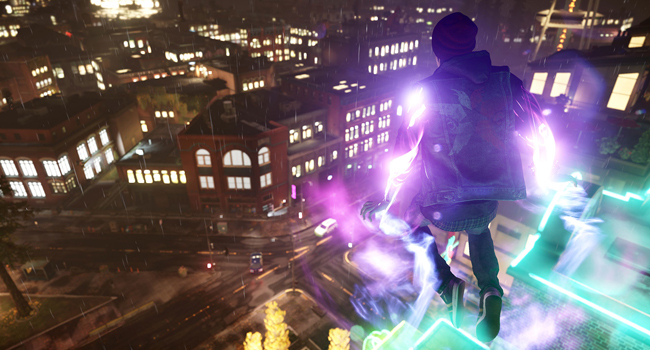 Central to proceedings is the all-new protagonist, Delsin Rowe, who channels Marvel's Peter Parker in terms of wise-cracks and the ability to catapult himself around a city. The latter point is all down to his unique 'conduit' power – and for 'conduit' read 'mutant' – that has him stealing the abilities of other super powered souls. So begins a power-grabbing quest that will eventually lead to the unleashing of all sorts of hell through smoke, light and, ironically enough, angels. With the ultimate goal to overthrow a totalitarian dictatorship (no surprises there) that rules through a combination of super-soldiers and, erm, concrete powers. And by that I mean, quite literally, the power to encase poor saps in slabs of concrete. Or else torture suspects by growing huge concrete spikes through their skin, from the inside out – ouch. 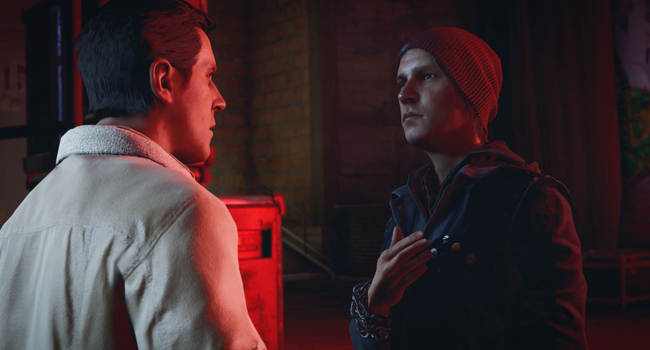 Now for something of a confession, even though Second Son commits a huge no-no in my book by resorting to repetitive missions, it does so with such aplomb that it barely matters. You might assault base-after-base of soldiers within its Seattle sandbox. But each encounter not only ratchets up the powers you have at your disposal, but so too the strength and intelligence of your aggressors.